It is worth looking on the floor when walking around in Cambodia. First we were shocked when we saw a burnt $100 banknote. Then we had a closer look and realized that it was just fake money probably used for card games. 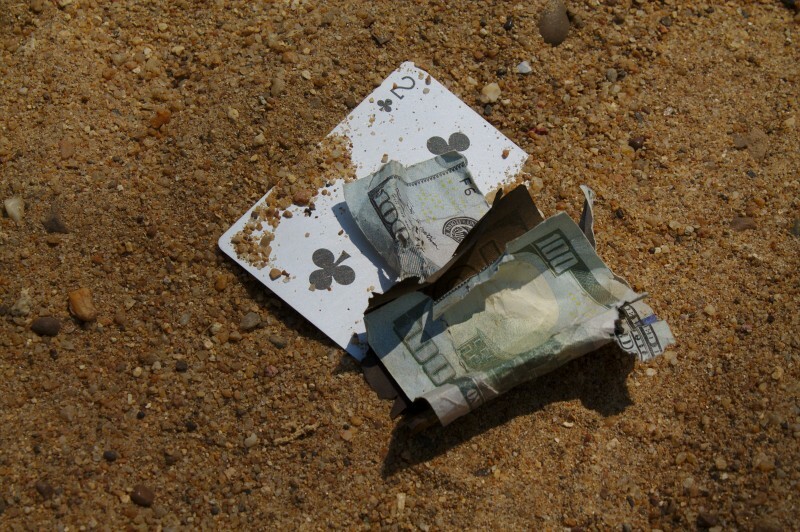 Apart from the burnt paper notes, loads of playing cards are scattered around. This lead us to our conclusion that Cambodians like to play cards for money – real or not. Who knows? First we read it in some travel blogs, then we observed it with our own eyes. Women dressed in pajamas walking around town, working in them and not even taking them off when going out in the evenings. We wonder what they sleep in. Jeans and shirt? In Cambodia expectation is far from reality. When looking forward to travel this country, we imagined a jungle full of adventures. Instead we had to face a barren wasteland, completely cut down and dry. Where ever there is a world-famous sacred site, certain types of people have a thrill to expose themselves in an unethical way. Angkor Wat has suffered from several incidents in which people published pictures of themselves posing naked in front of temple ruins. 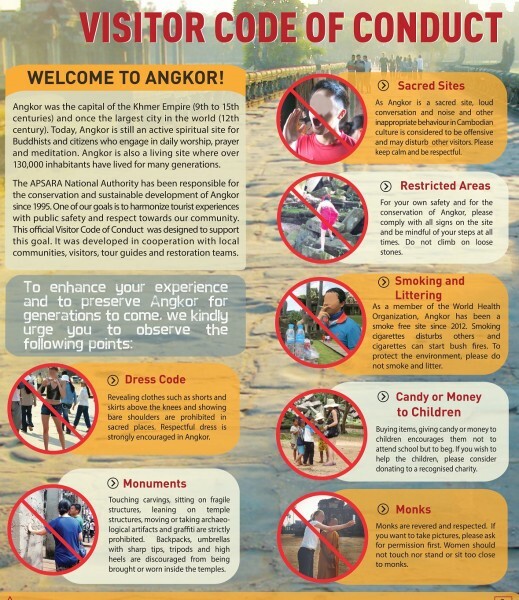 Cambodia is strictly banning all kinds of inappropriate behavior by releasing a new code of conduct for tourists. Taking naked pictures will be punished more severe. But also giving money to begging children and taking selfies with monks is banned. 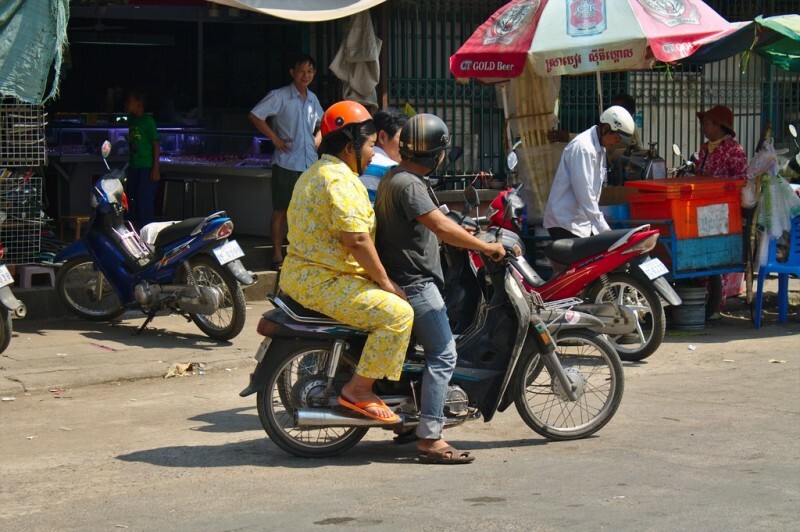 While our stay in Siem Reap we witnessed a typical tourist scam committed by children. A girl carrying a little kid on the arm was stopping tourists and pointing at a supermarket nearby, probably begging them to buy something for her there. Tourists who were about to keep walking away, assuming it’s a scam, were held back by the girl, grabbing the tourists’ hands, acting helpless and poor. In many cases tourists were trapped, following the girl to the supermarket because they felt sorry. Probably the supermarket was cooperating with these beggar kids. 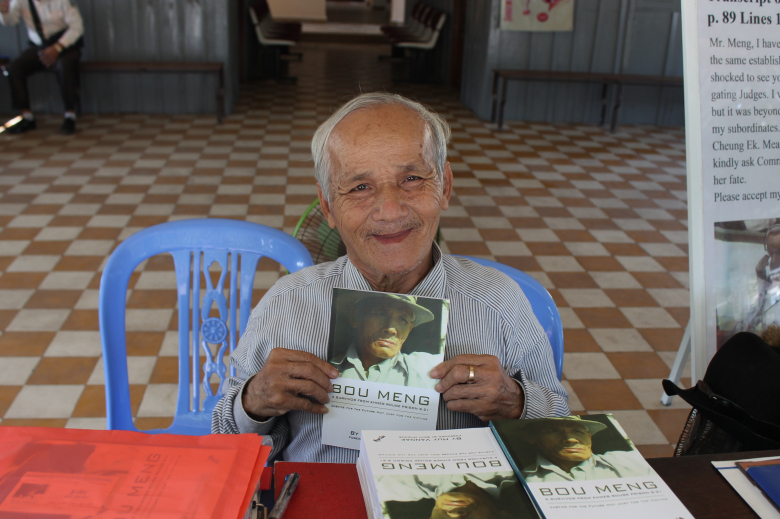 If you know the history of Cambodia, you know why there is only a small amount of old people. From 1975 to 1979 The Khmer Rouge regime killed a great percentage of their population. Those who survived form today’s old people. 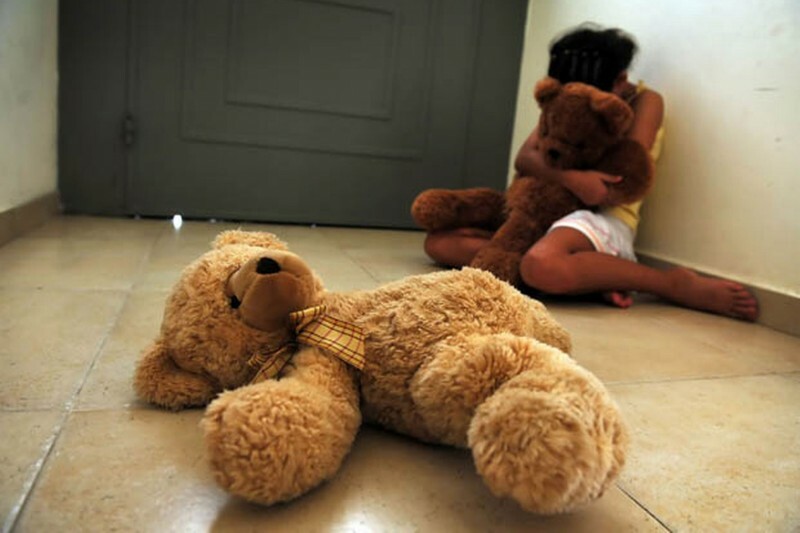 They still cannot forget the atrocities, creating a big gap between the young and the elderly. 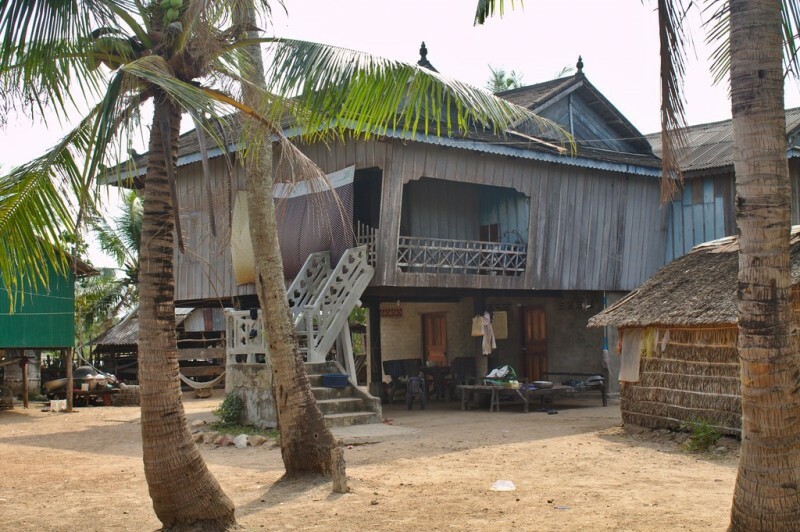 Cambodians have a special architecture for their houses. They’re made of wood and stand on stilts. 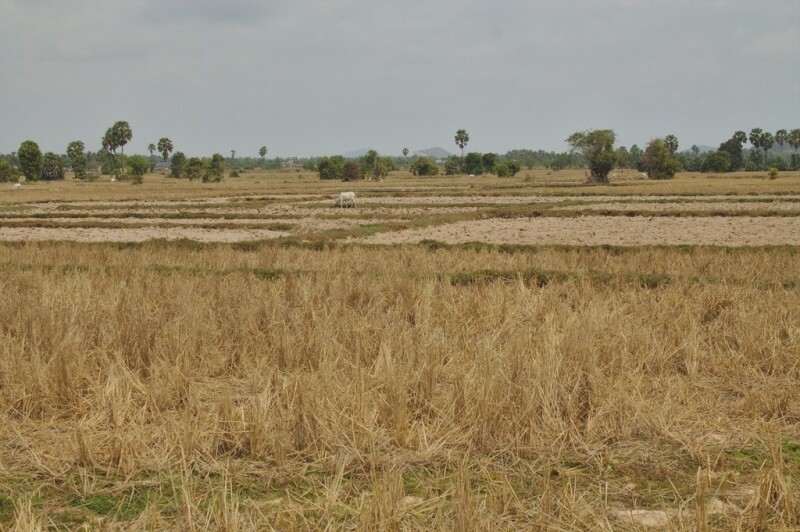 If you’re in Kampot in the countryside you’ll pass those houses all along the highway. They reminded us of Western movies. Placed in the midst of barren wasteland adds to this special atmosphere. Sugar cane is a popular drink found everywhere. The sugar cane is squeezed through a barrel installed on a special machine. If you see something that looks like a bamboo stick pushed through a barrel, it’s most likely sugar cane. 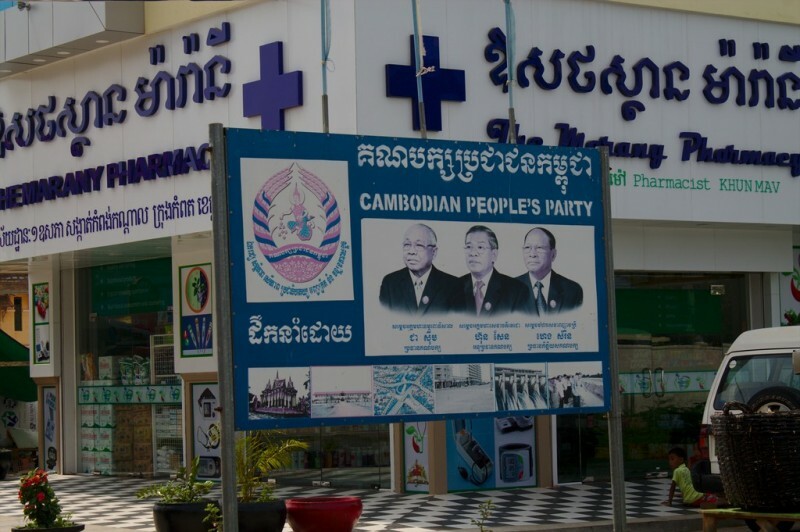 The Cambodian People’s Party is the ruling party since the fall of the Khmer Rouge regime. The government is said to be corrupt and the transition to a democratic system is dubious. 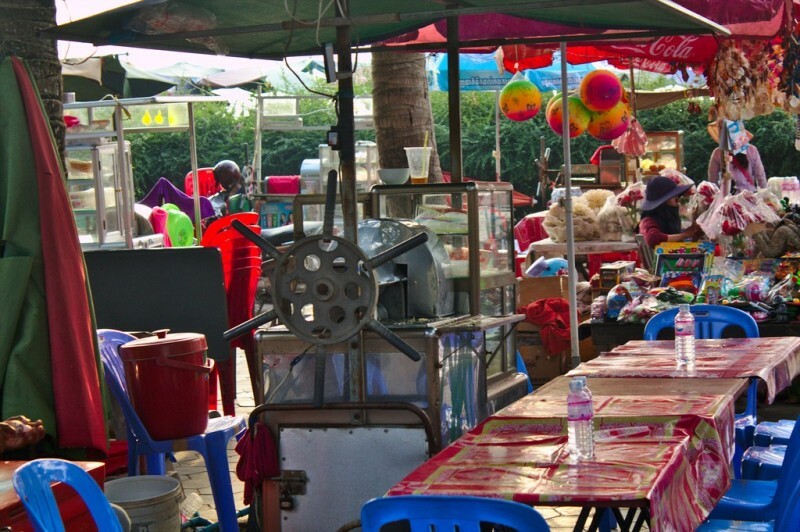 We already saw the most bizarre regarding food in the Philippines, but Cambodia is a lot alike. 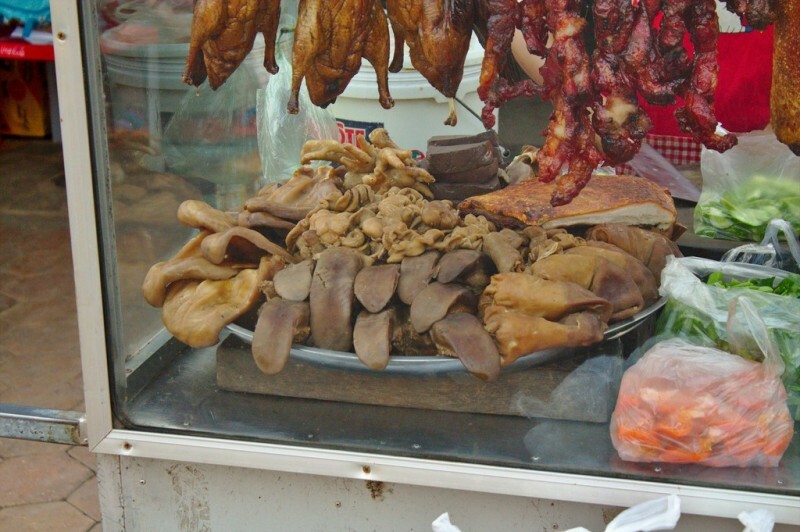 Don’t feel offended if you see stretched out tongues when walking around the night markets. Together with chicken combs and tarantulas a walk can easily become a horror show.